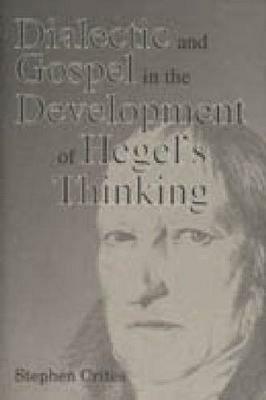 Dialectic and Gospel in the Development of Hegel's Thinking tells the story of this interplay as it develops in Hegel's thinking. It culminates in a fresh interpretation of the Phenomenology of Spirit and a detailed commentary on larger portions of the text relevant to that story. Crites's reading of the masterpiece is contextualized by three substantial chapters detailing the course of Hegel's reflections on Christian themes through the first thirty-five years of his life. These chapters are both biographical and textual, treating not only the philosopher's personal and intellectual development but also the major cultural influences that informed it. Hegel is seen to have begun as a child of the Enlightenment powerfully, affected by the Romantic reaction to the Enlightenment, who finds his way to his own position as a founding genius of German Idealism and its historical dialectic. His development is thus interpreted as an epitome of a major transformation in European intellectual history. "This is a masterly study of Hegel's early thought. Not only is it an impressive work of scholarship, but it is also written in an accessible and highly readable style. Seldom will the reader come across a book that is able to penetrate with such skill the opaqueness and complexity of Hegel's turgid prose and to bring Hegel's thought alive for the modern reader. In the preface Crites comments on his ability as a boy to untangle fishing line. With this book Crites has provided a major contribution to untangling the knot of Hegel's highly complex philosophical system. We owe Crites a debt of gratitude for the penetrating insight of his exposition of the thought of this difficult thinker. This book is destined to become essential reading for Hegel scholars and students of nineteenth century theology."